Is a CFO’s Place at the Head of the Supply Chain? Within the last decade, the corporate world has finally given supply chain management the attention it deserves. 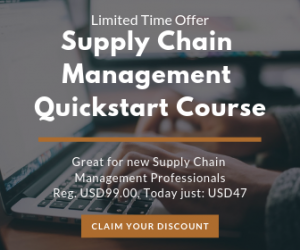 Experts have recognized the integral role the supply chain plays in daily operations and, ultimately, the overall success of a business. Ideally, supply chain management is a seamless collaboration between every department within a company. Supply chain policies complement corporate policies, and all company strategies reflect supply chain strategy. Executive management should directly oversee the SCM department, but just how involved should corporate officers be? After just six years as Chief Financial Officer for Royal Caribbean Cruises, Brian Rice is also heading the company’s supply chain. 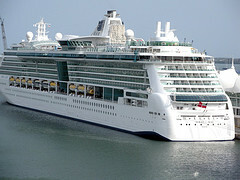 Rice has worked with the cruise line since 1989, became CFO in 2006, and took charge of the supply chain in September. Rice hopes to procure the resources the company needs to manage their supply chain more efficiently and to cut costs, which will help reduce debt and improve cash flow. “I’m still in the learning stages of the supply chain. They’re helping me more than I’m helping them,” Rice told the Wall Street Journal in December. Why would Royal Caribbean take such a big risk when their supply chain is already in danger? According to Dr. Mahesh Rajasekharan, CEO of Cleo Communications, “Many profound changes in a company’s supply chain management processes require strategic financial bets that a CFO is in the best position to make.” In a 2003 survey by CFO Research Services, more than a third of the CFOs who responded already had a leadership role in SCM. Nearly half expected to play a bigger role in supply chain management in the near future. Corporations like Home Depot and Delta have already assigned their CFOs as the heads of their supply chains. Supply chain management affects every aspect of a business, especially the bottom line. When cutting costs and improving profits are the goal, a CFO has the skills needed to do it. This level of leadership also makes it easier to integrate SCM into daily operations, as well as long-term strategy for continued success.